How do you feel? Is your answer just… fine? Would you rather feel great? Then you need optimal nutrition — and no one delivers it like we do. Reliv makes advanced nutrition simple. Reliv Canada products deliver a complete, balanced, optimal blend of the vitamins, minerals, antioxidants, proteins and phytonutrients the body needs to thrive. And Reliv is the exclusive provider of LunaRich®, the world’s first epigenetic superfood. Your health is worth more than a bulk multivitamin pill. You deserve Reliv Now. Made with Reliv’s exclusive LunaRich soy powder and loaded with vitamins, minerals and super-powered antioxidants, Reliv Now is built on the latest findings in nutrition science. The uniquely effective formula delivers a balanced array of the most advanced ingredients to give your body what it needs to thrive. Why settle for ‘fine’ when you can feel ‘great!’? Get your health up to speed with Reliv Now. Want proof that your daily supplement works? How about 20 years’ worth? 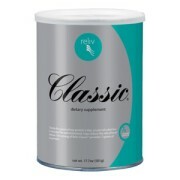 Reliv Classic, Reliv’s original groundbreaking formula, remains on the cutting edge of nutrition science. With a complex blend of vitamins, minerals, proteins and select herbs, this remarkable product continues to set the industry standard for balanced nutrition. Give your body what it needs to excel — shake up a Classic today. Launch your LunaRich health program with Reliv’s Dynamic Duo: Each LunaRich Super Pack comes loaded with four cans of Reliv Now®, 4 60-count bottles of LunaRich X™ and two custom shaker cups. Reliv Now – combines LunaRich, the first epigenetic superfood, with a balanced array of protein, vitamins, minerals, phytonutrients and antioxidants. LunaRich X – delivers the world’s most concentrated form of bioactive lunasin, a naturally occurring soy peptide and the key to LunaRich’s effectiveness. 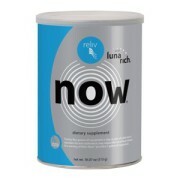 Reliv Now is your nutritional fuel; LunaRich X is your epigenetic accelerator. Take at least one shake and two capsules daily for optimal health today and smart prevention for tomorrow. Real Results: In a University of Missouri study the combination of Reliv Now and LunaRich X showed the potential to support weight loss, heart health and metabolic wellness. Learn more. Whether your joints ache from age or an active lifestyle, Reliv A•affect is your solution. The secret is in the formula which delivers more than 20 ingredients hailed by researchers around the globe for their benefits. The effectiveness of patented Arthred™ in promoting healthy joints was proved through $10 million in worldwide clinical trials. 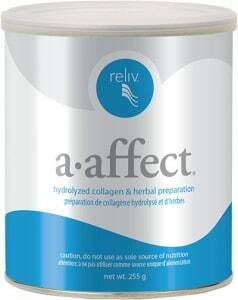 Find the relief you’ve been looking for with just one serving a day of Reliv A-Affect. Fortify your immune system with the benefits fibre and cell-protecting antioxidants. 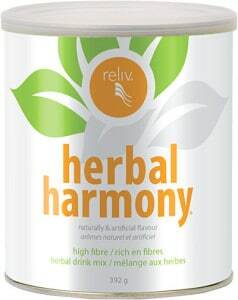 Patented Reliv Herbal Harmony® is loaded with 10 grams of soluble and insoluble fibre per serving, providing nearly a third of the daily fibre recommended by the National Cancer Institute for good health. You’ll also receive extra amounts of the antioxidants Beta Carotene and Vitamins C and E to help protect against the serious health conditions caused by free radicals. Plus, a special blend of 21 herbs ensures added energy and health-enhancing phytonutrients. Great pineapple flavour. The benefits of soy are well-established, and new research has identified the nutritional component largely responsible: lunasin, a naturally occurring soy peptide. 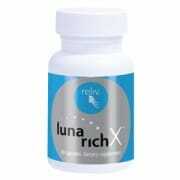 LunaRich X is the purest, concentrated form of lunasin ever produced — and available only from Reliv. In addition to its own health benefits — from cholesterol reduction to overall cellular health — LunaRich X powers up the benefits you receive from other Reliv products. Lunasin: The first dietary ingredient identified to affect gene expression and promote optimal health at the epigenetic level. Now available in concentrated form in LunaRich X. Learn more about lunasin. Bottom line: You can’t change your DNA blueprint, but you can influence how that DNA expresses itself. LunaRich X can help. 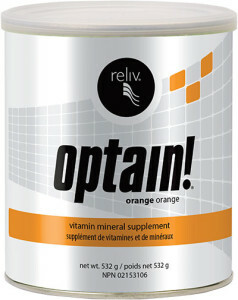 Optain!® provides the essential vitamins, minerals and carbohydrates your body needs before, during and after workouts. This patented formula boosts energy with a combination of complex carbohydrates. It helps prevent dehydration as it balances electrolyte levels. And it’s fortified with 100% RDI of Vitamin C and nearly two-thirds of the RDI of Beta Carotene — two antioxidants that play a key role in cell defense. Optain!® also contains the most readily absorbed forms of chromium and zinc — essential minerals your body needs to keep healthy and fit, yet may be depleted during intense exercise. Comes in Lemon or Orange flavours. ProVantage meets the nutritional needs of physically active people to improve performance, endurance, recovery and repair. Powered by Reliv’s exclusive LunaRich soy powder, this patented formula delivers 13 grams of muscle-building soy protein, plus other advanced ingredients like Tonalin®, MCTs, Creatine, CoQ10 and supercharged amino acids. 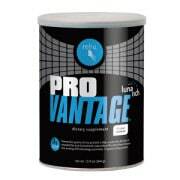 ProVantage marks a major advancement in the science of sports nutrition. It’s the edge you’ve been looking for. * Disclaimer: These statements have not been evaluated by the Food and Drug Administration. Reliv products are not intended to diagnose, treat, cure or prevent any disease. The results may vary from person to person.